Our aim is to foster a multicultural community of lay and monastic Buddhist practitioners. Teaching the Dhamma in English, we offer support to those interested in the practice as laid out in the Four Noble Truths and Eightfold Path by the historical Buddha. Dakkhina Dhammatthala: Southern Oasis of Dhamma is located in the coastal suburb of Christies Beach and offers sanctuary to our resident and visiting monastics as well as providing a regular meditation and dhamma schedule. If you would like to offer dana or find our more visit the website. The Buddhist Society of South Australia is a Theravadan Buddhist organisation committed to teaching meditation, Buddhism and Dhamma in English. Drawing from the Buddhist forest traditions of Thailand, Myanmar, Sri Lanka and Australia. 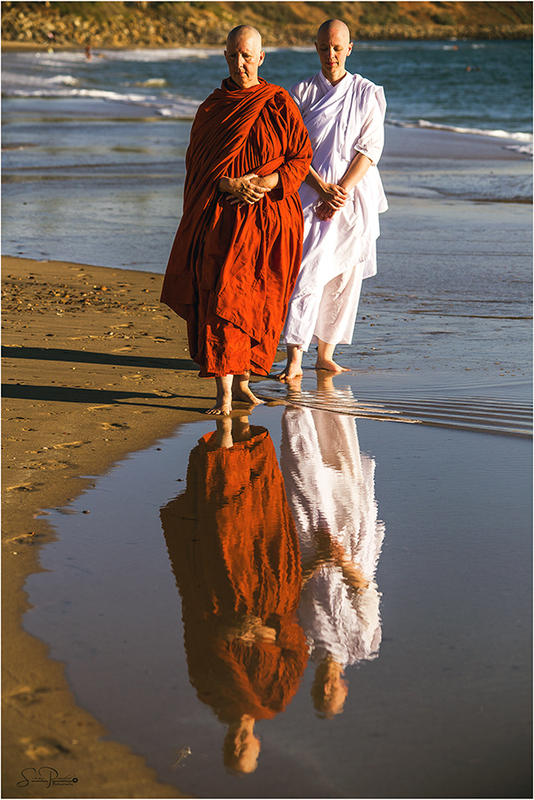 Our resident monastic Ayya Santacari offers meditation classes, and Sutta & Dhamma discussions in Adelaide and Christies Beach throughout the week. We have a meditation and Dhamma talk schedule where you can learn to meditate, learn and discuss the teachings of the Buddha and meet like-minded people. Our resident monastic, Ayya Santacārī will offers meditation classes, Dhamma talks and Dhamma discussions in Adelaide and Christies Beach throughout the week. All our sessions are offered freely. Encouraging a spirit of generosity from our attendees and teachers. For those who have already learned to meditate, group sitting practice times are also offered. On Tuesdays, meditation classes are given at the University of South Australia. Dhamma discussions, Sutta study, Puja, chanting & ceremonies available by request. During Vassa [July to October] all programs are suspended so that the monastics can focus on their own practice. Ayya Santacari will be entering into intensive personal retreat during Vassa. For more information about the BSSA please contact us or join our mailing list to receive our regular newsletters informing the community of what;s going on with the Society in the form of dhamma talks, group meditations, retreats, special holidays and more.